Set amid the magnificent Slieve Mish Mountains, this cottage offers 4 star accommodation near the coastal village of Brandon in County Kerry. This traditional-style cottage has been furnished and equipped to a very high standard and enjoys spectacular views of Brandon Bay and the Maheree Islands, making it ideal for a family holiday. 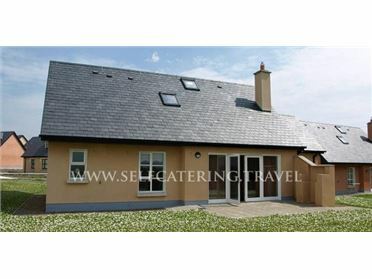 The property has three bedrooms, fully fitted kitchen, and lounge perfect for relaxing after a day's sightseeing.Brandon, which nestles in Brandon Bay, is a perfect holiday destination for exploring the Dingle Peninsula. There are 3 bedroom in this self catering accommodation sleeping up to 6 people. Both towels and bed linen are supplied free of charge. The bedrooms are comfortable and promises a restful nights sleep. The cottage enjoys beautiful views of the surrounding countryside. Ground floor bedrooms are available..